KRUNGTEP UNION MANUFACTURING CO., LTD. 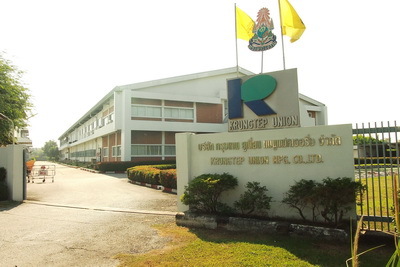 Established in 1979, Krungtep Union Mfg. co.,Ltd. has been thailand's premier name in plastic business. Throughout the years, the company continues providing customers with made-to-order quality products and services of internationnal standards, Supporting such a vision is Krungtep Union Mfg, Co.,Ltd. 's total commitment toward customer's satisfaction, unwavering dedication to quality, just-in-time delivery and competitive pricing. Wide range of up-to-date extrusion plant with varying capacities for production of the final product. And couple with full support and off-line processing equipment to undertake post extrusion fabrication (secondary processes, such as drilling, punching , custom cutting, embossing etc. ) as well as injection molding facilities for accessory components.